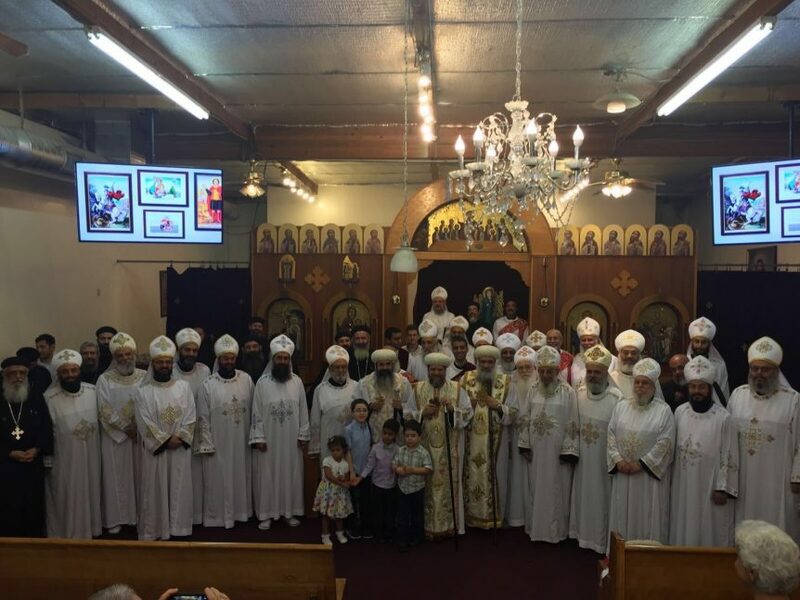 At the monthly meeting of the Diocese clergy, His Eminence Metropolitan Serapion, accompanied by Their Graces Bishop Abraham and Bishop Kyrillos, laid hands upon and ordained the blessed servant, Daniel Nashed, to the priestly rank of Deacon at St. Demiana Church in San Diego. God willing, Deacon Daniel will be ordained as a presbyter on Sunday, August 21 for the Diocese and will continue his service at St. Verena and the Three Holy Youth Church in Orange. May God continue to bless the service for the glory of His Holy Name.